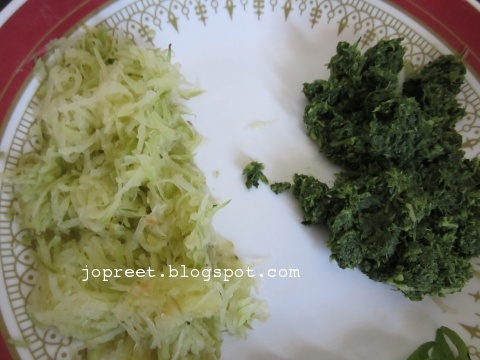 Cook chopped keerai and garlic flakes with water for 10-15 mins. Remove from the heat and allow to cool. Drain the water and squeeze the leaves. Grind in a mixer for few mins. Dont add water while grinding. Keep it aside. 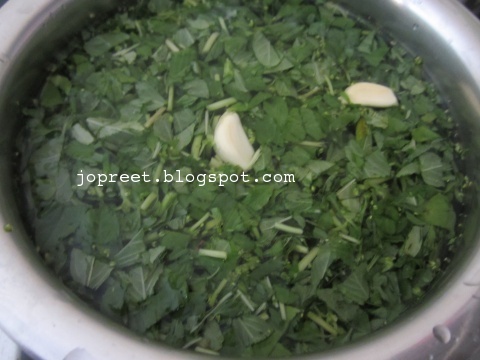 Heat 2-3 tsp oil in a pan or kadhai. Tamper mustard seeds. 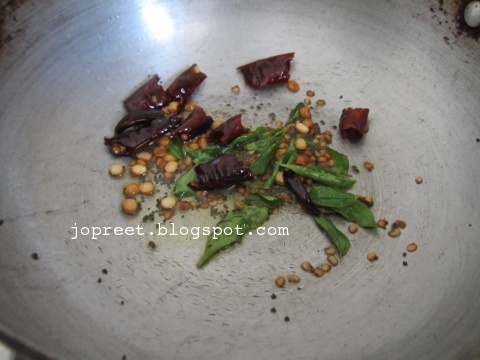 Add black gram, bengal gram and broken red chilies. Saute a while. 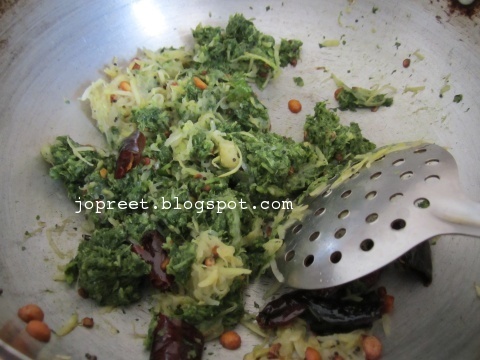 Add curry leaves and saute a while. 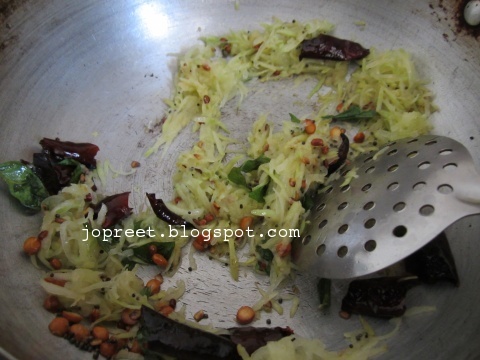 Add grated mango and keerai. Add turmeric powder, cumin powder and salt to taste. Cook for 5 mins. 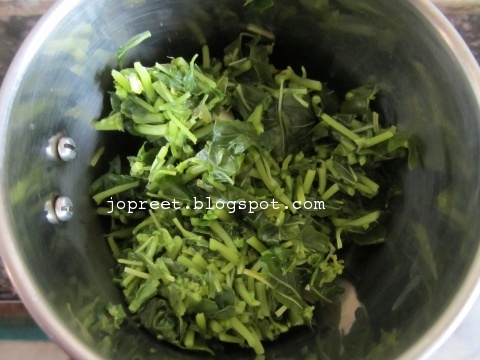 Add cooked rice to it and mix well everything. Remove from the heat and serve it. Lovely rice nice combo of greens and mangoes. nice combo and tempting rice. Greens and mango, love this fantastic combo, rice is just inviting me to enjoy. 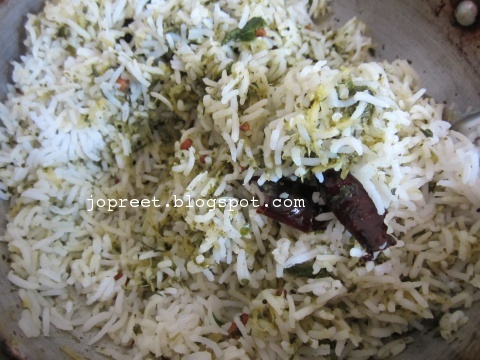 Nice idea to add greens to the mango rice. Wholesome. wow any variety rice and lovely click dear !! Yummy and comforting rice plate.